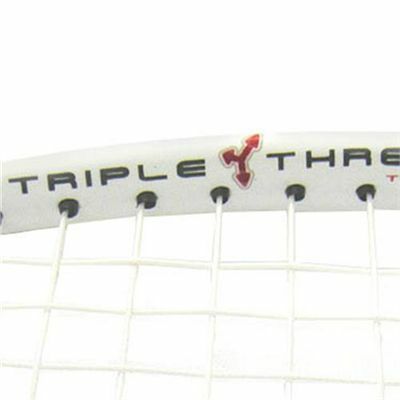 The TT Triple Threat Warrior Racket - First to be noticed is the actual head shape: QuadraForm. 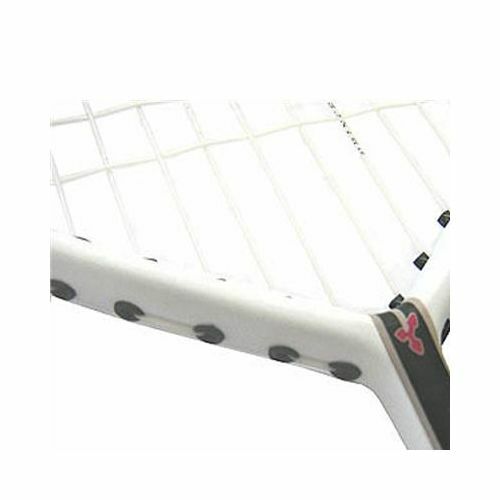 With this design the upper head area is extended outward to provide longer string lengths for maximum power. 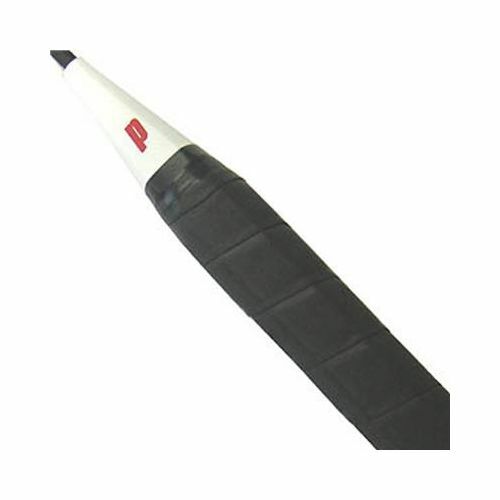 The Prince Y-Joint design provides superior torsional stiffness, because the head portion connects to the shaft at an angle, allowing bending and torsional stresses to be balanced whilst the Y-Joint design provides longer strings resulting in an expanded power zone. 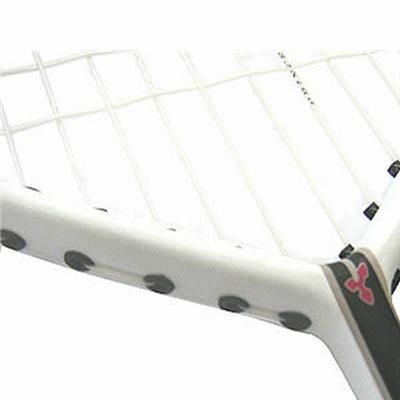 In addition, to increase the racket stability Prince has placed Triple Threat combination of titanium; copper and carbon in three critical locations: 10 o’clock, 2 o’clock, and the bottom of the handle. 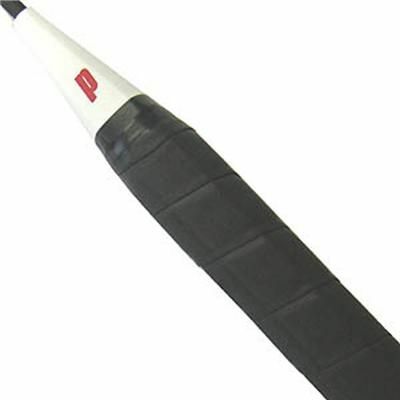 More stability provides a greater sweet spot size, more power, precise directional control, and reduced shock to the arm. Racket Composition: Carb and Graphite Triple Threat with Tungsten. for submitting product review about Prince TT Triple Threat Warrior - Badminton Racket.